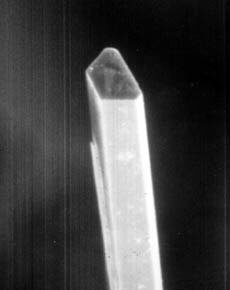 Straight or curved, six sided crystals with flat ends. 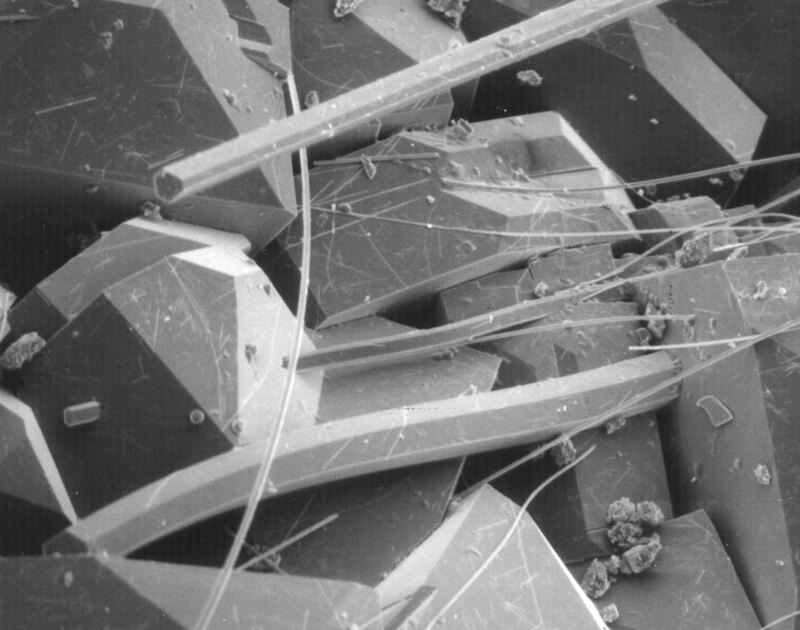 Commonly associated with Heulandite and Paulingnite. Frequently with small balls of an unidentified maineral growing on the sides or, espcecially, the ends. 4-9-86 No. 67 5KV APER200 x4500 by CMN THIS TABLE LOOKS BEST WHEN VIEWED USING INTERNET EXPLORER. Colorless. Rods, often bending, intergrown with heulandite. The tip of the upper left hand rod is seen below in SEM No. 108. Colorless. 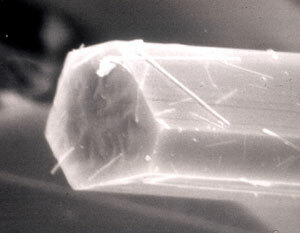 Six sided rods beginning to form fibrous aggregtes; single huelandate crystal at lower left. 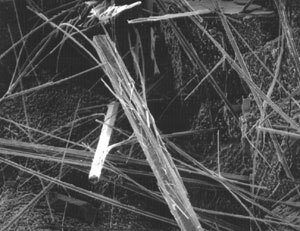 Detail in SEM No. 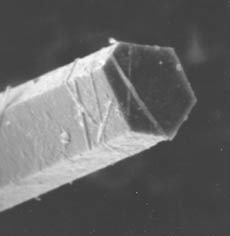 44, below, comes from another part of this same cavity. Colorless. 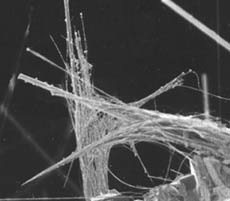 Detail of termination. 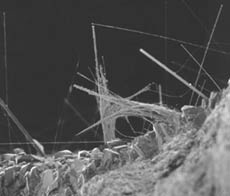 Secondary growth of micro-rods wrapping onto adjacent crystal surfaces is common. Colorless. Rods have accumulated smaller, fibrous crystals (see detail, immediately below). Long fine rods have knobs of unidentified maineral (see SEM 47, below). Colorless. Terminateion of long, very thin rod.